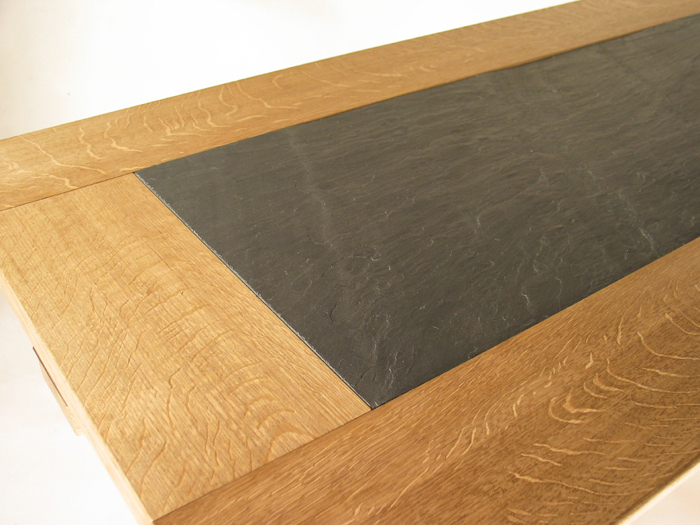 Shown in solid brown oak with Welsh blue slate top. Hinged top extended widthwise. 6ft 7in (200cm) x 20in (51cm) extending to 35in (89cm) price on application.